Last week, I had the pleasure to attend Universal Studios' Halloween Horror Nights. The event was in its 24th year at the Orlando theme park, and, from a purely crowd perspective, was going as strongly as ever. This was only my second year to attend, but I was already worried about being disappointed given that last year featured amazing mazes such as Cabin in the Woods and An American Werewolf in London. Thankfully, I am glad to say my worries were wiped away. Below you will find my review of the event as a whole, with a quick blow by blow of each house and scare zone. Scare zones made their glorious return to Horror Nights this year, after last year's complete park takeover of The Walking Dead was (mostly) a complete failure, and annoyance to many. This year featured more variety, but that doesn't mean it was an overall improvement. 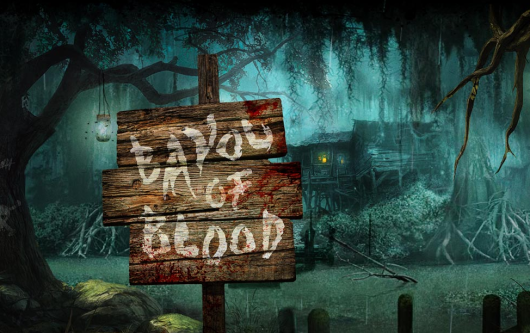 I'm a sucker for anything themed after New Orleans and/or the South...especially when it comes to horror. Voodoo culture definitely has a lot to draw on, and this scare zone did just that. Sets, costumes, and night time lighting were all fantastically well done in this zone, but the scares were just not as present as I would have liked. A once per hour human sacrifice show was a nice touch, however. 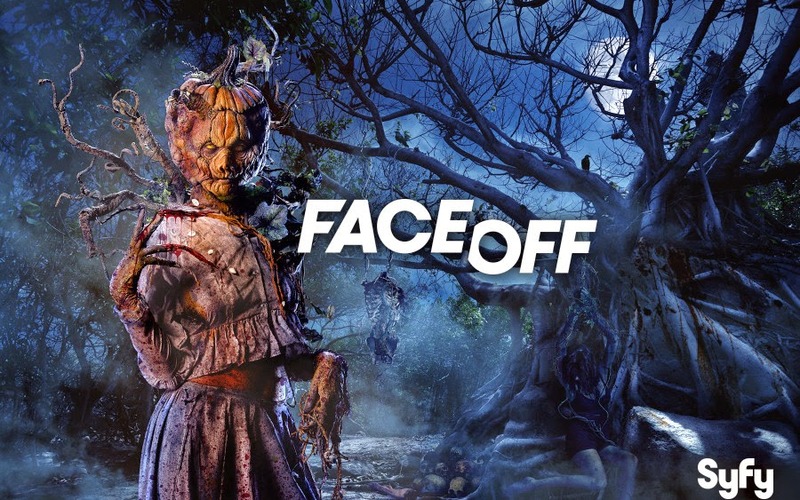 If you're a fan of Syfy Channel's popular make-up reality contest show FaceOff, you're about the only person that would have gotten some genuine enjoyment from this zone. 10 of the best monsters from the series' run thus far were featured (five on display every 45 minutes). While these make-ups were very nice to look at, this scare zone boiled down to nothing more than a glorified photo op. Sure, some scare actors were present, but the terror was just not there. Boring. Boring. Boring. This scare zone had a pretty creative idea, but the sets were quite miniscule (two giant candles that, while pretty neat to look at, did not really create much of an atmosphere). Interesting costumes and a plethora of stilt actors made for some fun ideas, but none of this really came together the way it should have. Perhaps a house of this zone would have been better. Perhaps the largest and most active scare zone of the entire event. If you have never seen The Purge films, there was nothing to really keep you from enjoying this zone. For 12 hours, all crime is legal, so chaos ran rampant on the streets of Universal Orlando. Lots of awesome sets, an auction of tourist lookalikes, and great scare actors made this easily the most well done and most memorable zone of the event. Once again this year featured 8 haunted houses, five based on IPs (Intellectual Property) and three originals. Horror Nights 23 featured some pretty unremarkable original houses, but this year, as you'll see, set the bar VERY high. When you see the name for this maze, you would not expect this to be one of the better experiences of the event. So how did Orlando pull that off? Two ways: not following the plot of ANY of the films, and using some highly advanced puppets. An original story set in a Weyland-Yutani research facility allowed for this sound stage maze to feel incredibly intimate. Even areas which were low on scare actors felt tense due to the sound of Predators and Xenomorphs lurking near by. 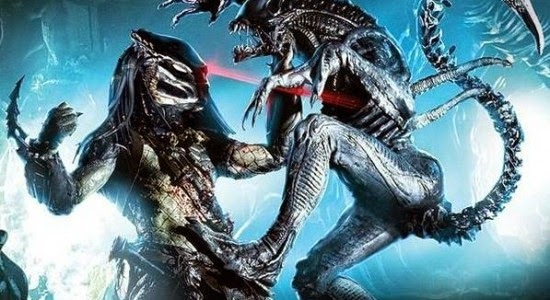 Amazing Xenomorph puppets and HUGE actors playing the Predators really helped to make this feel like you had come between these two warring species. If dolls creep you out at all, then this would probably be the worst house for you. Dolls and various, creepy stuffed animals EVERYWHERE in this house. 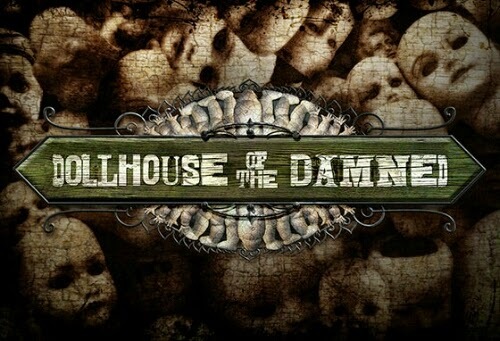 Dollhouse of the Damned tells the story of a young girl who has taken over a morgue and is turning her human victims into dolls. This house was definitely an improvement in terms of original content, but it was probably the one original house with the least amount of scares. Universal made great use of a hodge podge of sets and smells (baby powder and poop to be exact), to create a genuinely creepy atmosphere. Some nice make ups also helped to make this house a lot of fun. The people infused with teddy bears were definitely a highlight. This isn't the first time Horror Nights has featured a film as a maze before the film even saw a theatrical release, but this may be the worst use of a company tie-in. 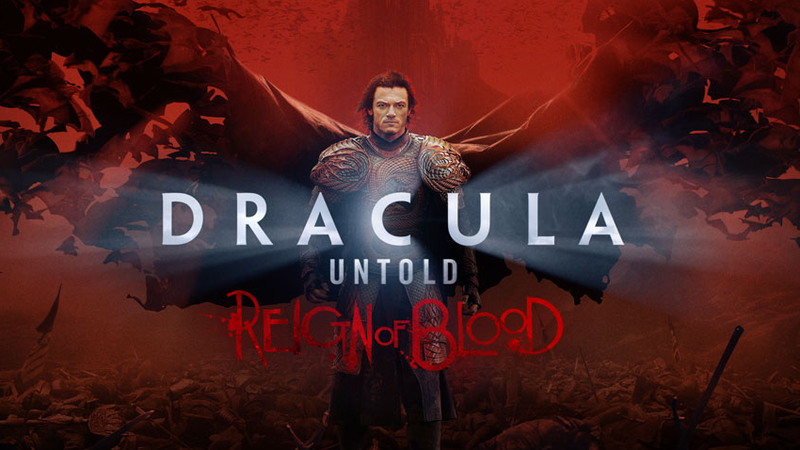 Dracula Untold is a pretty mediocre film, easily forgettable. But whatever amount of forgetability that movie has is multiplied by 10 in this house. I literally saw this movie about half an hour before going through the haunted house, and I still could not tell you a single thing that was happening. Some interesting sets help to make the walk through not become completely boring, but the complete random assortment of said sets and the lack of true scares help to make this easily the worst house of the event. Please, Universal. Next time you force your theme parks to do a maze based on a movie you have coming out...at least let them see the damn thing first. This house as probably one of the biggest surprises for me. I thoroughly enjoyed both the film and television series of Robert Rodriguez's From Dusk Till Dawn, but I did not expect this house to be as well done as it was. 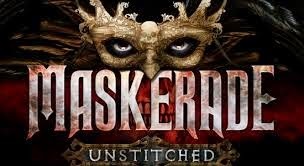 Lots of very intense scares in this maze, with some nice fake outs....most notably some strippers who appeared to be doing a private show behind a curtain, to only pop out and reveal themselves to be vampires. Great details in the sets, but an intense house that really drops off at the end. Unfortunately the end is when you actually get to see the bar, so a great set felt like a waste of time due to a lack of scares. Still one of the best houses of the event, though. So this was easily my most dreaded house of the night. I HATE clowns. It is a fear which I have had since I was two years old (a clown popped a balloon in front of me...it was very traumatic). I will admit, though, that the concept for this maze was incredibly unique: the factory where evil clowns are constructed. Lots of creepy, gory, and (sometimes) humorous designs going on in here that help turn these innocent victims into clowns. For a maze about clowns, this house was not as colorful as initially anticipated, but there were still some nice moments. Equal on the creepy scale to Dollhouse of the Damned, but the scares were just slightly above that house. 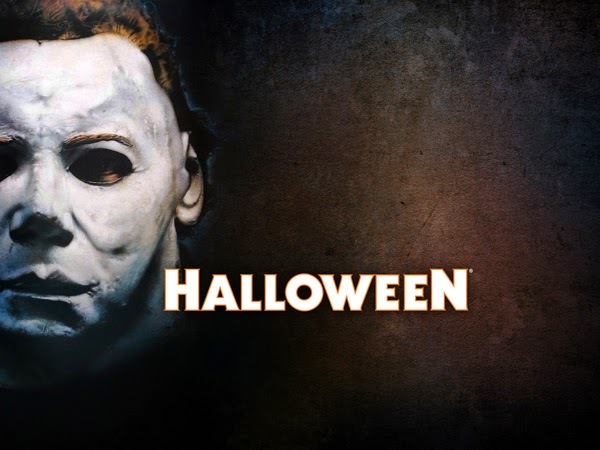 John Carpenter's 1978 slasher film Halloween is a classic. Not just for genre lovers, but it is simply one of those movies which everyone should see at least once in their life. Needless to say, the film (and series as a whole) is a favorite of mine, so I was highly anticipating this house....and I was not disappointed. 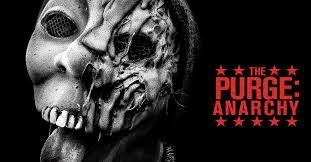 Not since i was 13 years old and seeing this movie for the first time has Michael Myers ever been so scary. The sets were so accurately detailed to the film that it felt like you were truly walking through the scenes...something which Universal has done before, but it felt all the more of an accomplishment given that this film is 36 years old. Intense scares, great level of detail, and a renewed sense of nostalgia and love for this film helped to make Halloween the best house of the entire event...perhaps one of the greatest houses Universal Orlando has ever done. Based on initial reviews, I was not expecting this house to end up being my favorite of all the originals. Perhaps it is because I caught it at the right time and got to walk through with just my brother and myself, no one else around...meaning we pretty much got a private show. 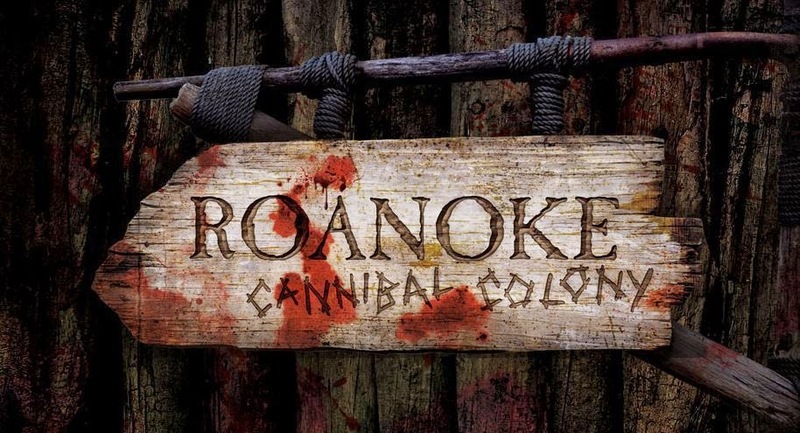 A very gory house that tells the story of how a 16th century colony really disappeared due to a rampant case of cannibalism. Out of all of the houses at the event, this one easily had the most in-your-face scares. Some interesting sets and the excellent use of some Wendigos helped to make this my favorite of the original houses. Not as great as some of the IPs, but a vast improvement over last year's original content. It's no mystery that I am not a huge fan of The Walking Dead. This is the third year the ultra-popular AMC series has been featured at the event, and I kind of have my doubts we have seen the last of it. I was lucky enough to only have to wait 30 minutes for this house, but wait times got as high as 180 minutes....this was easily the most popular house for some reason. In terms of the house itself, it was a great improvement over last year's maze for one reason: the environments were much more diverse. Universal Orlando's biggest maze definitely lived up to that name, pulling together various events from Season 4 of Walking Dead. What made this maze fall flat was its most important factor: the zombies. Zombies are not scary after the first few scares....and when your house relies so much on zombies, it starts to become less scary as it goes on. Great environments...very poor scares. 5. 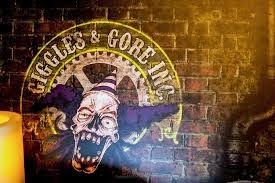 Giggles and Gore, Inc.
Universal Orlando had another success with this year's Halloween Horror Nights. Be sure to keep your eyes on GeekRex for all coverage of next year's event. 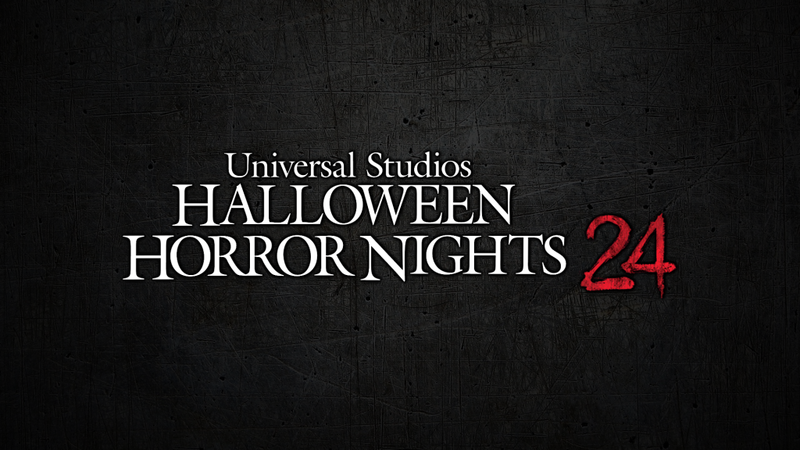 With it being Universal's 25th year of having Horror Nights, there are sure to be a lot of surprises.